Update: Check your emails for a targeted offer for a 35% transfer bonus. 60K Marriott points would convert into 33,750 Aeroplan miles (0.563 miles per Marriott point) if you are targeted. If you transfer hotel points to Air Canada’s Aeroplan mileage program by 4/22 you’ll get a 30% bonus. You can transfer 60K Marriott Rewards points (20K Starpoints) into 25K Aeroplan miles. Aeroplan will add 30% more miles, leaving you with 32,500 miles. That’s a transfer ratio of 0.542 miles per Marriott point (or 1.625 miles per Starpoint). 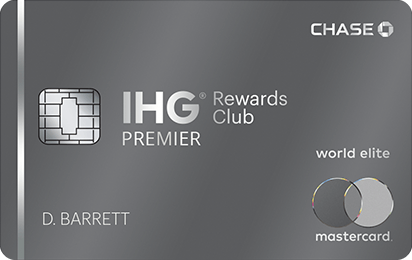 Note that even 7 months after the merger, Marriott’s mileage conversion tool still doesn’t account for the 15K bonus Marriott points they add onto a transfer when you transfer in increments of 60K points, but those points will be added. The tool calculates 60K points as converting into 20K Air Canada Aeroplan miles at the 3:1 ratio (or 20K miles with other airlines at the 3:1 ratio) but you’ll actually get 25K Aeroplan miles for every 60K points transferred thanks to the 15K bonus Marriott points that will be added onto that transfer. The 30% bonus miles may take up to 4‑6 weeks to be credited after the promotional offer end date of April 22, 2019. Note that Air Canada is bringing Aeroplan back in house on June 30, 2020 and changes to the program can be expected. 20 Comments On "Get A 30%-35% Bonus When You Transfer Hotel Points Into Air Canada Aeroplan Miles"
Some1 is still stuck in Starwood times! Can points be transferred to a friend’s aeroplan? You can transfer your Marriott points to a friend. Did you try asking to transfer in order to book a hotel reservation? For good or or for worse? Any way to do this online or need to call? so if i wanted to go from israel to la for with stops in rome and ny i can do that? and do i have to use one airline on all legs? hi if my father haves Marriott points and i wanna get it to my aeroplan account how do i do it? i don’t have a a Marriott account. tnx! really appreciate it!